You are here: Home / Beer / How to survive election night in Nelson. How to survive election night in Nelson. 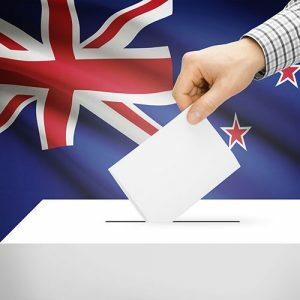 Election night is coming and our guest blogger, beer aficionado Denis the main man Cooper, has some election selections to help you through the event! The views and opinions expressed in this article are the light hearted views of the author and do not necessarily reflect the views of Fresh Choice Nelson management or staff, BUT we do stand behind the beer selection! With the upcoming election you’ll need some stimulating beers to get you through the BS and unsubstantial promises made by the election hopefuls. I’m all for a young, pretty, inexperienced politician who came into power by default following the resignation of their leader, so maybe Bill will continue to lead our country for another term. But all is not doom and gloom… Well maybe it is! These dark thoughts call for the darkest of beers, to help you through election night (and the lead up) in Nelson. To help you into your happly place try the best rated beer in NZ. iStout from 8 Wired. The label says it’s big, but it’s bigger than that. Ratebeer.com gives the behemoth the maximum 100 point rating, which means everybody who tried it, liked it! And who wouldn’t? It’s like a decadent, creamy vanilla chocolate dessert with 10% of alcoholic heat to cut back the sweetness! How about a cream stout from Good George called Blackberry, Sage & Honey? Sounds like something you’d stuff in a raw chicken, however, these flavoursare very subtle and combine to provide a rich taste experience that belies its meagre 5% ABV. It starts off tart but the finish is like Ribena with a delicate honey sweetness and probably more vitamin C! Who knows? If drunk cold it’s a thirst-satisfying beer, and if imbibed at a warmer temperature it produces creamy cola-erymalts. Actually this beer does go rather well with a roast chicken! And in the style of Winnie Peters, here are the last words: Try a Royal Oak Stout from Liberty. Sippeth this black bad boy for something pretty special. It is velvety smooth from the royal oats it contains, and at 10% ABV it is richer than an American lottery winner. Full of dark chocolatey malts and aged wood and bourbon notes, this will lift your taste buds and raise your eyebrows. So whether politicians are people you want to drink with or people who make you drink, get your election night brews from Fresh Choice Nelson, the obvious vote! Denis (always DC, but not always PC) Cooper signing off!